The Heart behind d’Olyfboom Family Estate. The historic d’Olyfboom Family Estate is set against the Paarl Mountain, overlooking the town, vineyards and country-side. Although within the suburban borders of Paarl, the relaxed ambiance lends itself to meetings, events, conferences and functions in our professionally equipped venues, which can host up to 80 delegates. The Guest House offers five individually decorated guest suites to accommodate conference delegates, executives, tourists or travellers who want to experience this bustling Boland town. The Well serves healthy meals, spring water from the Estate, amazing coffee and freshly pressed juice. The Family Tree Leadership Academy is unique in its approach to learning, as it aims to partner with like-minded parents of children aged 0 to 6 years (possibly up to age 9 in future), in the formation of future leaders of the Christian faith. Owned by Danny and Garitha de Wit, every venture on the property is dedicated to form, develop, uplift, unleash and release leaders for the next generation whilst creating an environment where people feel safe, nurtured and important. At d’Olyfboom Family Estate we take a holistic approach to wellbeing. We believe that true wellness is the result of a healthy spirit, mind and body. We are excited about "The Well;" our very own retail shop where we focus our passion for holistic health on providing wholesome food and education to empower the community to properly nourish themselves and their families. With this as our objective, we pride ourselves in supplying healthy food, sharing our clean spring water with the community, making amazing coffee and pressing juices of highest quality. We serve our signature blend of 100% Arabica coffee, made from the finest beans and roasted locally to guarantee freshness. Our coffee is nutty and full-bodied due to the dark roast style. Enjoy the rich taste of d'Olyfboom coffee at The Well or grab a take-away cup on your way to work. d’Olyfboom consists of the ideal Conference Venue for all your conferencing needs. The Conference Centre can host up to 80 guests, depending on the set-up and preferred setting lay-out. Half day or full day options make our venue ideal for team building sessions or strategic planning days. We have hosted many private functions to great satisfaction of all our clients. Catering for these functions is also available and our competent chef will be able to structure the menu according to your specific needs and budget. 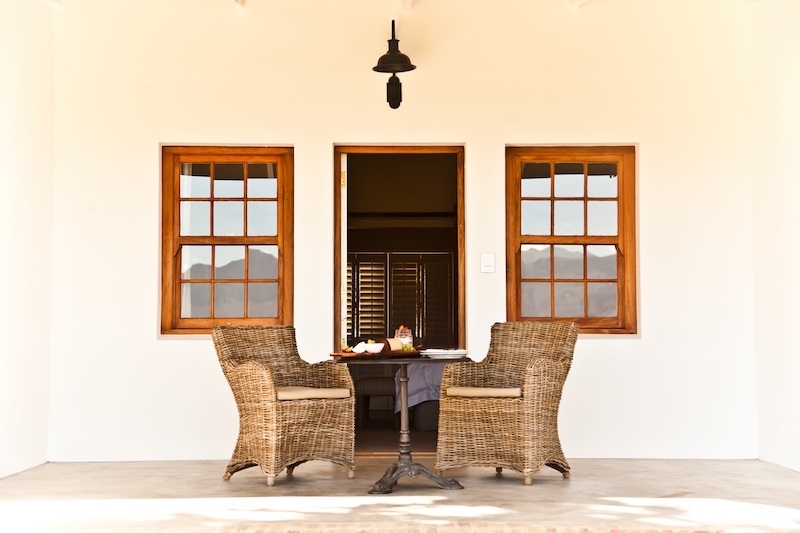 Ever since d’Olyfboom Family Estate opened our doors in 2010, the need for guest accommodation has been evident. We are extremely excited to announce the addition of guest suites to our premises. The beautiful view over Paarl and central location of the farm make for the ideal guesthouse setting. With the farm being a heritage site, the guest suites appropriately have an old farmhouse charm with a touch of modern mystique. The rooms are spacious and stylish and promise to offer something totally unique. Situated on d’Olyfboom, is this pre - and preparatory school totally unique in its approach to learning and leadership development, which is what d’Olyfboom is all about. The school aims to partner with like-minded parents of children aged 0 to 9 years in the formation of future leaders of the Christian faith. As a “partnership”, parents commit to attend a minimum of four training workshops per year. These focus on a variety of topics ranging from parenthood and marriage enrichment to nutrition and fatherhood and serve to strengthen and support the family unit.